A compact, light weight construction, optimized to give minimum weight to KA ratio. A unique 'U' shaped insulation barrier housing the Vacuum interrupters, (except for VK 10 Q 40) imparting maximum mechanical strength against electrodynamic forces and provides most effective phase to phase and phase to earth segregation. A simple motor charged spring operating mechanism noted for its high performance reliability. A versatile mechanism capable of operating Vacuum Interrupters of any type. Hence, dependence on single source of Vacuum Interrupters eliminated. Trip free mechanism suitable for repeated auto re closing duty. Spring charging time of less than 10 seconds. Totally enclosed construction for spring charging motor. Built-in manual charging handle with every circuit breaker for effortless manual spring charging. Superior mechanical endurance limit. 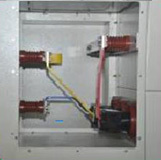 Fully segregated circuit breaker compartment ensures that no arc product or foreign body can travel from or to cable and bus bar compartment. 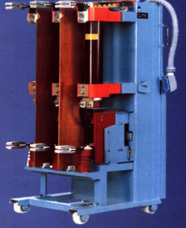 A screw type racking arrangement for easy insertion and withdrawal of the Circuit Breaker renders perfect contact pressure, independent of operator's force. 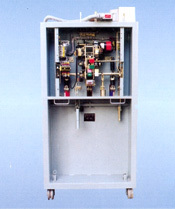 A positive interlock to ensure the circuit breaker insertion to or withdrawal from SERVICE position only when it is OPEN. Bus bars and jumpers are covered with special heat shrink sleeves which provide effective insulation between phases or phase to earth, even if bridged by vermin or any other conducting body. Eproxy molded stationary disconnect contacts prvide effective segregation between phases and phase to earth. 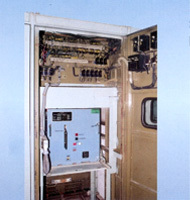 A separate segregated compartment for voltage transformers. 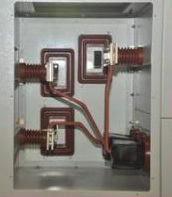 Voltage transformer connections through epoxy molded contacts. 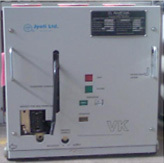 Withdraw able voltage transformer truck arrangement. 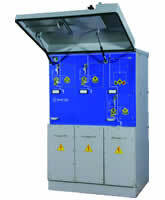 Automatic safety shutters cover the live parts when voltage transformer is withdrawn outside the crucible. 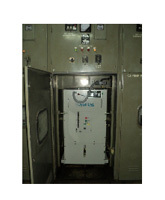 Adequate space for entry and termination of two sets of 3-core or 6 nos. (2 per phase of single core) cable connections. 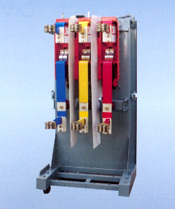 Additional sets of cables or current transformers can be housed within modular rear extension. A compact , light weight construction, optimized to give minimum weight. 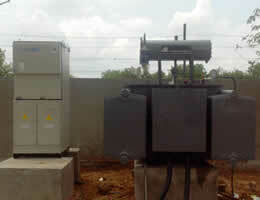 Excellent Choice for switching motors transformers and Capacitors. Available In two versions Electrical and Mechanicals. Cheaper / cost saving device for motor , transformer and capacitor switching. 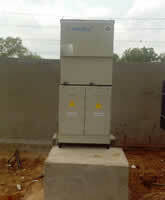 Suitable for 3.3kv / 6.6kV 400 Amp. 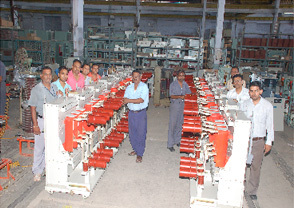 Jyoti Ltd. has successfully carried out 'Retrofitting' of nearly 1000 MOCBs with VCBs in last decade at number of installations. 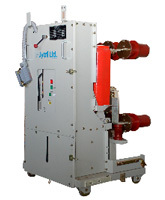 Jyoti Ltd has developed a SF6 gas insulated Ring Main Unit with a trade mark of "Jyoti Ring TM ". Jyoti Ring has developed with the technical collaboration from one of the UK based company. This product has not only developed successfully but also Type tested in one of the most reputed European Laboratory. The total International certification has done as per IEC 62271-100/200/103/102. 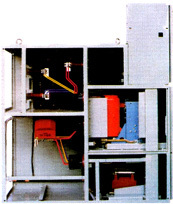 In the 1950s to 1990 MOCBs were the mainstay of switching devices for medium power generation and distribution networks. 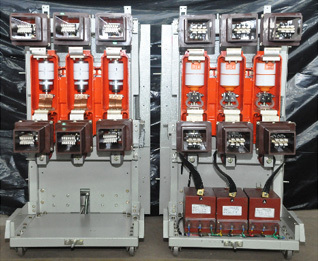 Jyoti was first to introduce the concept of replacing old MOCBs with latest VCB technology thereby increasing the service life of the existing switchgear panels. Retrofit solutions for their MOCBs as well for other make MOCBs. 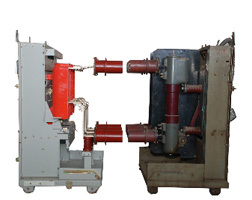 This year Jyoti has successfully designed, developed and commissioned retrofit solution for NGEF 12kV, 1250 Amp 25kA MOCB type EKU 5012 at a public sector refinery in western India. 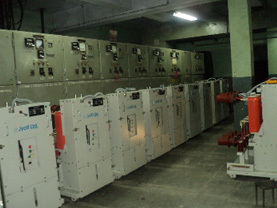 The retrofit solution has been completed one month ahead of schedule with successful commission and taking on load of 19 numbers vacuum breakers on 17th May 2010. 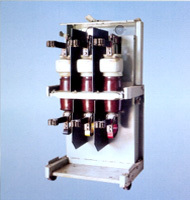 As of now Jyoti has more than 2000 retrofit breaker in service.